Carpet mold is a hard pill to swallow and an even harder pill to tackle. Once rooted, mold can grow quickly, spreading to the surrounding areas and setting up shop on everyday items. When it comes to carpet mold, damp basements and rooms with poor ventilation are the most prone to falling victim. So, how do you know if your carpet has been overtaken by unseen mold? Here are a few telltale signs. Odors- in particular musty odors- can be one of the first signs of mold that pops up. Although a musty odor may be very noticeable, more often than not it’s hard to detect if you spend a lot of time in the vicinity of the affected carpet. If this is this case, be sure to take note of instances where visitors report smelling a musty scent in your home or office, as this can indicate the growth of mold under or on your carpet. When mold is present, you’ll probably notice an increase in the amount of suffering in those who have allergies. This is because mold can set into motion bronchitis, breathing problems, asthma, and of course- allergies. If you or someone in your household is suddenly plagued by uncontrollable bouts of these illnesses, you should check your carpet for mold to be sure that it isn’t the cause. Once mold has reached an advanced stage, it makes its appearance in the form of black, white, brown, and green growth that can be noticed within the carpet fibers. These discolored patches are a result of mold colonies multiplying. Carpets that are regularly subjected to moisture for a long period of time or that aren’t adequately dried after being wet have the potential to grow mold. Mold needs moisture to thrive and damp carpets are the perfect place for the spores to grow. In basements, a common cause of mold is leaky pipes, so be sure to keep an eye out for leaks. If excess water is due to carpet cleaning, call a Pleasanton CA carpet cleaning company to thoroughly wash and dry the carpet next time it needs TLC. Mold test kits can be purchased from local hardware stores. The test kits test the airflow going over the carpet and, if mold spores are present, catch them, causing them to multiply. This is perhaps the most effective way of identifying mold growth. Although mold might not be present on your carpet, it may be sprouting beneath it. A good way to keep mold away is by regularly checking for mold on the floor beneath your carpet. Life your carpet up and examine the floor. Look for discoloration and keep en eye out for any kind of strange smell. Mold can get out of hand in the blink of an eye. It doesn’t have to, though, as it can be prevented and stopped in its tracks if you know how to identify its warning signs. With an abundance of selection for carpet cleaning companies, the final decision can be a tough one. 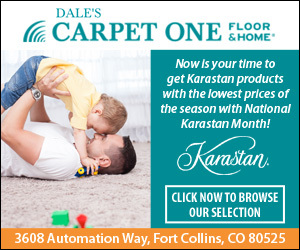 However, before you decide which company to go with based solely off of reviews and price, you should also consider your carpet and the types of methods that each company uses, as not all methods are suitable for every carpet. Also known as steam carpet cleaning, hot water extraction cleaning uses high pressure hot water to disturb carpet fibers and destroy the dirt within it. Typically, this method starts off with the application of a cleaning agent, and then continues with the agitation of carpet fibers. The process finishes off with rinsing. Once the agent has been allowed to sit, it is then thoroughly rinsed using the high pressure hot water and allowed to air dry. On average, to clean a 3000 sq ft carpet this way, it would take approximately 2 hours ro clean and 4 to dry. Most companies will advise that the cleaning be done in the later afternoon so it has time to dry overnight. Until the 1970’s, carpet shampooing was the go-to way to clean carpets. After the creation of encapsulation, however, the popularity of shampooing diminished. Shampooing is still used but is less popular, as it uses a foamy shampoo substance that is not rinsed off after application. The substance is applied and allowed to dry, which can take a long time ad leave traces of residue within the carpet fibers. Encapsulation is a method that utilizes synthetic detergents that crystalize and turn into powder as they dry. When the foam-like cleaning substance is applied, it will trap dirt and turn it into powder as it dries. After the solution has dried, it is then vacuumed or brushed away. Encapsulation took the spotlight away from shampooing as environmental advocates began to see the benefits of encapsulation- less chemical residue left behind. Bonnet cleaning, or bonneting, is essentially a quick-fix solution for dirty carpets that receive a lot of foot traffic. Bonneting does a quick and thorough surface clean, but does not penetrate deep into fibers. Boneting involves a machine with a spinning head that is covered in cleaning solution and then applied to the carpet. Bonneting is popular in hotels as it can be done quickly and requires very little moisture, so it dries quickly, as well. Bonneting, although quick, is not efficient as it allows for trapped dirt to be released and often results in chemical buildup, as well as dirt buildup. Dry carpet cleaning is new, effective, and does not require any drying time. A powdered cleaning solution is applied to the carpet and then allowed to penetrate, by the use of a rotating brush machine. Dry carpet cleaning solutions are usually biodegradable, so they are favored by many environmentalists and professional companies. Carpet cleaning, like anything else, is surrounded by myths. Although carpet cleaning isn’t a wide spread topic of discussion, it does have a importance to home and business owners who take pride in having a stain-free carpet. If this is you, you probably believe a few “true” facts about carpet cleaning that aren’t actually true. To help you weed out the truth from the myths, here are a few carpet cleaning facts that are, indeed, myths. Steam cleaning causes mildew growth. This is a myth. However, it could be true if your carpets are cleaned improperly- the proper, professional way of steam cleaning won’t cause any mildew or mold growth. You’ll know your carpet hasn’t been steam cleaned properly if it is left wet for days. If the company you hired to clean your carpet leaves it in such a state, do not rehire the company- leaving a carpet soaking wet is not professional. Baking soda removes carpet odor. Many people use baking soda in cat litter boxes and garbage cans to deodorize smell- this, though, doesn’t work on carpets, and for those of you who use this trick, does it really work on stinky litter boxes? Probably not. Although baking soda removes the smell, it doesn’t get rid of the debris causing the smell- all it does is mask the odor. The tons of extra baking soda that gets left in your carpet after using this trick eventually causes damage to the carpet fibers, not to mention that it wears off and causes the carpet to smell as bad as it did before you used the baking soda. New carpets don’t need to be cleaned. Most carpets that are referred to as “new” aren’t actually new. In reality, they are usually already a few years old. Even if the carpet looks clean, it probably isn’t. By the time your new carpet looks dirty, it has already been damaged as the debris has built up enough to cause damage within the carpet fibers. Even new carpets should be cleaned regularly, and no carpet should go longer than 18 months without a professional cleaning. Steam cleaning shrinks my carpets and upholstery. Most carpets are made with synthetic materials that aren’t prone to shrinking. Carpets or upholstery that may have problems with the steam cleaning method, however, can be cleaned using any of the other four professional cleaning methods. 87% of carpets and 75% of upholstery have been proven to be safe for steam cleaning, meaning that as long as the technician knows what to do, your carpets and upholstery should be perfectly fine. Accidents happen, life gets messy, and children have too much bound up energy to bother worrying about staining your new carpet. That’s why it’s important to know how to remove the most popular kind of household stains: ink, blood, coffee, and juice. Dampen a while cloth using isopropyl alcohol and dab the stain with the dampened cloth. Keep in mind that the higher percentage of alcohol, you use, the better it will work. Do not rub or scrub the stain, and repeat the treatment if the stain hasn’t gone away. Once the stain is gone, dry the area with a vacuum cleaner. To ensure that the type of carpet you have will not be damaged further by the alcohol, perform a spot test on an area of the carpet that is hidden from view. Alternatively, you can use products like nail polish remover, some hair sprays, and white vinegar as long as they contain a high alcohol content. Blood is a stain that many home owner dread. However, the actual occurrence of said stain isn’t as bad it appears, as it can be handled relatively easy, returning the carpet to its former state. To remove a blood stain, fill a spray bottle with cold water and add 2 teaspoons of dish detergent. Spray the mixture onto the stain so that the blood spot is entirely soaked. Use a paper towel or white cloth to lift the spot from the carpet using a blotting motion. Rinse the spot with cold water and repeat if the stain persists. Never use hot water on blood stains: heat causes blood to coagulate and penetrate further into the carpet fibers. Coffee stains can leave your carpet looking dirty and unsanitary even it has been washed and the stain has been cleaned up. Blot the coffee stain with a white towel. If the stain is large, be sure to switch to another clean towel once your original has become saturated with coffee. Mix together water, vinegar, and non-bleaching detergent and use a sprayer to saturate the area. Rinse the area with clean water and repeat the process if necessary. If you have kids in your home, your carpet has probably fallen victim to juice spills. If so, don’t worry. Even the toughest of juice spilled (kool-aid, in particular!) can be removed. Blot the stain with a white towel. In a spray bottle, combine one tablespoon dish soap, water, and ¼ cup of white vinegar and spray the mixture onto the stain. Allow it to soak for 5-10 minutes. Blot with another clean, dry towel until the stain has lifted. On tough stains, using a product such as RESOLVE or Oxiclean and the vinegar mixture alternatively, can be beneficial. If you work in a busy office setting, chances are that your office’s carpets are the last thing on your mind- especially if you’re in charge of running a department or group of people. However, carpets shouldn’t be neglected, as they can change the entire atmosphere of a work environment. To convince you and remind you to keep that carpet clean, here re 6 great reasons to regularly clean your office carpet. Gives your carpet a longer life. Regular cleaning is a vital part in making the most out of your carpet. By prolonging your carpet’s life through regular cleaning, you’re saving yourself the hassle of replacing carpet. Because carpets are commonly spilled and walked on, they become dirty and worn down quickly if they are not refreshed with a good cleaning. A dirty carpet is a useless carpet, as it breaks down faster than it would if it was well maintained. You may not think of it, but air quality is heavily influenced by the state of your carpet. How? It’s simple. Dirty carpets trap pollutants and dust particles that comprise air quality, releasing them when the carpet is moved or stepped on. Regularly cleaning your carpet, gets rid of the pollutants instead of hiding them and allowing them free reign of your office space later on. Nothing looks worse than a dirty carpet, especially when it’s located in a professional office space that needs to be taken seriously and receives many important visitors. Such visitors may be put off by a blackened, stained carpet. However, a clean carpet has the opposite effect. Improves employee productivity and moral. When your house or bedroom is dirty, you probably feel trapped and down or depressed. When it’s clean and smells nice, however, you’ll probably have a change of heart and gain a bit of pep in your step. This is the same for office carpets. Dirty, dingy carpets affect the way employees produce their work- employees who work in a clean office space will work harder, faster, and more efficiently than those who don’t. Employees will also be happier and less likely to get sick. Regular cleaning saves you money. Even if your office carpet doesn’t look dirty, it’s a smart financial decision to clean it regularly. Why? An extremely dirty, built up carpet requires longer cleaning with heavy duty materials and machines to get the job done. A mildly dirty carpet can be cleaned by home methods or by a professional but within less time. As a rule of thumb, the more time and materials a carpet cleaning job requires, the most the job will cost you. Now that you know why your office carpet needs a regular clean, you can use the knowledge as motivation to clean the carpets- even when they don’t appear to need to be cleaned. If you find yourself considering skipping a clean, reread the above reasons for a reminder of why carpet cleaning is so important. There’s a few things to consider when you’re trying to give your carpets a deep clean after a few years of hard usage. The main thing to remember is that unless you use a professional service or company, then you’re probably not going to achieve the same results as they will. Of course, this is to be expected since the professionals will be using top of the line equipment compared to what you’ll be using. 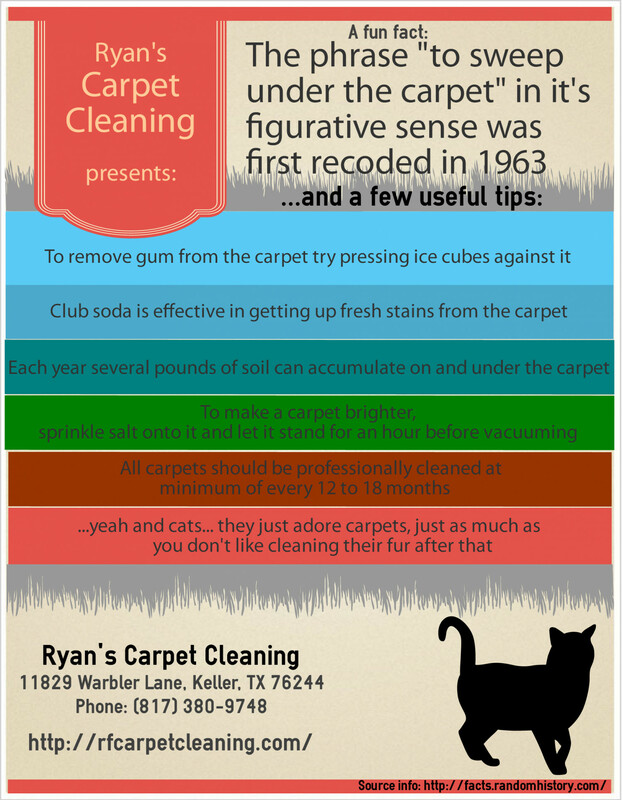 Here’s our recommendations for cleaning a really, really dirty carpet in your house! You’ll have to move all the furniture out of the way if you want to remove dirt from your carpet. This will make things very easy and and uncover any hiding spots. Just like you would pre-treat your laundry, you need to pre-treat your carpets. Doing so will loosen up stains and make the whole process a lot smoother. Use a spray formula on any visible stains and give it an hour to work it’s magic before you proceed any further. Add formula to the tank (According to the bottle instructions). Start cleaning the room. Take your time and don’t rush this part. It’s vital that you give the entire carpet a good going over to increase the overall result. This is an additional step that we recommend you do. Again, only use hot water in the tank to avoid any problems. This will remove any formula that’s leftover. That’s really all you need to do in order to give your carpets a pretty good deep clean. It won’t be perfect, but it’ a lot cheaper than the alternative method of hiring a company (if you didn’t want to do that). The carpet , especially if precious, is a textile of the house that is difficult to maintain. Not only because it requires continuous suction of dust to prevent the proliferation of mites and dirt, but especially for the difficulty of washing. Not all carpets come into the washing machine – some with the appliance just do not disagree – and proceeding by hand is really tiring. Are there any easy methods, natural remedies , to remove a carpet? It may happen that a carpet, be it in the living room or in the bathroom, is more than necessary: ​​a glass of inadvertently overturned wine, coffee, food such as sauces, chocolate creams and much more. And the damage is done: how to remove that encrusted halo, should you throw the carpet? The answer is simple: just resort to some grandmother’s remedies. For the ordinary cleaning of the carpet, so in the absence of any kind of stains, you can rely on the binomial vacuum cleaner and steam. 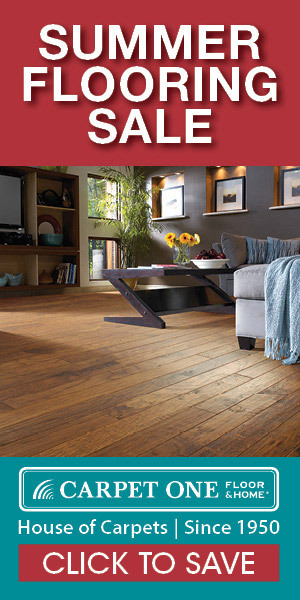 After carefully suctioning the entire surface, whisk the carpet and remove any residual dust accumulated on the back. Then, by using one of the many surface-cleaning appliances with steam, clean the entire surface. In case of sufficient space, the operation should be carried out by positioning the carpet vertically – perhaps hanging it on the clothesline or curtain bar – to allow the steam to pass through the fabrics from side to side. By doing so, you will be sure to eliminate any residue, reduce the presence of mites and achieve maximum hygiene. For a more thorough cleaning of the carpet, even valuable like the Persian, you can resort to bicarbonate , a truly irreplaceable remedy for the home. It is ideal for removing the accumulated dirt or those stains left after the removal of an important stain, like that of a food, given its strong absorbency. Just sprinkle the affected area – or even the entire surface – with baking powder and leave to stand for at least 60 minutes, then collect any residue with a vacuum cleaner. In the event of persistent stains, a mild mix of lukewarm water and bicarbonate can be created and the area directly dabbed, but checking the resistance of the color on a hidden part of the fabric. It can often happen that the carpet is stained with earth, mud and other plant residues, especially if there are pets in the house. Before making any attempt, let the stain dry completely: the mud, in particular, when it is solid can be easily removed with a clothes brush. If residues remain, you can try to sprinkle the affected area with coarse salt after having lightly moistened it, because it is able to absorb the watery spots by osmosis. In the same way you can also opt for vinegar , but the resistance of the fabric and colors must first be sifted in a hidden part. Do you want to clean the carpets at home but do not know how to do it in an ecological way? Here are 5 DIY remedies that will solve this problem. They can be applied to all types of rug, from long-haired to synthetic , to wool . Here are some tips to refresh them without using any chemicals. Another way to clean the carpets is by steam. Use the appropriate appliances that produce the steam and pass them on your carpets to clean them. If you want to scent them, add a few drops of essential oil to the water of the machine that you like best – lemon, white musk or mint – and the house will smell (and clean) in a moment. An alternative to clean the carpets in a natural way is hydrogen peroxide. Pour it directly on the stains and let it act. Next, wipe and dry the treated part. With the cornstarch you will not only make excellent chocolate creams, but you can also clean the stained carpets. Mix one cup with half a bicarbonate, then rub it all with a damp cloth. Leave to dry for half a day and then remove the residues with a vacuum cleaner.